The C team spent the season in Division 5 when we gave at least eight of our younger players a taste of competitive play. Today Adam, Jai, Oliver and Louis rotated in the team to achieve a 6-3, and 5-4 win and then a 4-5 defeat when they played without one of their stronger players. The whole team are still all in junior school ranging from years 4-6. The B team having gained promotion to Division 3 did extremely well winning one match 4-2 drawing one 3-3, but losing 6-0, 5-1 and 4-2 thereby finishing 5th in the Division. Well done to Luca Karishma Kush and Josh. The A team however had another outstanding day winning four matches 6-0 and only dropping two games in the first round 4-2 win when perhaps they were just warming up. If the squad are all still available for next season we shall be looking to take Division 2 by storm on our way back to the first division. Sunday 18th Feb 2018 National Cadet League at Nightingale Academy. The A team relegated to Division 2 were well prepared for a strong contest to try and regain their first division status. However on the day Vagabonds did not appear leaving just Our B team and Warren Spring as opposition. Our A team played Warren spring in the second round winning 6-3 with Harshil Shah winning all three but Luca and Jules who won two of their three games losing to a strong Isabell Lacorte. The B team lost both of their matches 9-0. They put up spirited performances against our A team of Harshil, Arya and Luca and against Warrens Springs, So well done to Josh, Immanuel and Karishma. It was a great first day at London Academy NJL, with six divisions probably the biggest and possibly the strongest NJL in the country. Last year after the first day I was despairing, this year I am very happy with the performances. Being placed in Divisions 4,5 and 6 we had a chance of doing well if all our players performed to their potential. Our A team in Division 4 was not at its strongest with Harshil away, but Jules performed better than ever winning 8/10 playing as number 1, Arya as number 2 won 9/10 while Immanuel managed 1/6 as the third player. Kush when promoted to the A team won a further2/4 their two draws and three wins should be enough to see them promoted to Division 3. It was a pleasure to take a squad who have trained hard, played and behaved well and reaped the reward they and the club deserve. The squad have been reliable and generally a pleasure to take to the different events; a good advertisement for the club. Well done to all those who have taken part this year. The third week of NCL was a bit of a disaster. Again availability was an issue with several players not being available over the half term week. The A team of Harshil, Jules and Karishma did well in the circumstances but struggled to win any matches. The B team of Kush and Oliver were in the position of playing in Division 1 having really little experience of playing at that level, being very young. 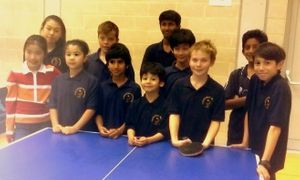 The C team of Jai, Arya and Adam in Division 2 all had less than three months experience of table tennis, with Adam just attending the club for a couple of weeks. The day was a tough one and the organization, due to a number of teams being absent, meant our A and B teams played some teams twice and and our C team only got to play two matches in day that lasted 7 hours. I am extremely impressed with the players who are trying so hard in difficult circumstances, as we should never have had two teams in Division 1 and our Division 2 players are very young and inexperienced but are persevering against adversity. The A team in Div one was a little depleted last round, and the B and C teams were also suffered. However on the positive side if our teams are bottom of the division they can only improve... and that is what we shall be looking for over the next two rounds. We have two teams this season one in Division 3 and one in Division 5. The A team consists of Silas Woolway, Harshil Shah and Immanuel Sam. Of these only two have had an England rating/ranking but hopefully before long they will all be on the ladder. To our teams... The club is most grateful for your support and willingness to represent the club! Just arrived back from an exhausting day at NJL. 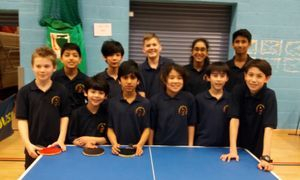 The Division 3 team did well holding their place in Division 3 Silas won about half his games while Harshil over half. Immanuel struggled but managed to add one win to their total. In Division 5 there was no fear of relegation as Kush, Arya, Theo and Amar battled hard with varying degrees of success. They finished the day having won one match convincingly, lost one by quite a margin and another match that was a little closer. Well done to Theo, Arya and Kush who all won at least three games for the B Team and also Oliver who ended playing in Division 4 for another team but won a number of games. Week 1 of the NCL saw all but our A team struggle. But that is not surprising as the B and C teams were generally made up of players of younger age or playing in their first competitive matches. Congratulations to A Team Theo P Hainsworth, Harshil Shah and Jules C Lee on playing so well and ending the day in third place. The B Team must also be commended on trying so hard in Division 1 with only Karishma having played NCL before while, while Immanuel had never played in competitive table tennis matches before. Our C Team will improve I am sure throughout the season as they gain in experience.Oliver, Kush, Amar and Theo. OCTOBER 2016 Its a sad fact that," Players come and go but Twickenham Brunswick still goes on." NCL starts this coming Sunday the 6th of November and will see a fair number of new players starting to make a name for themselves, and the club, in the England rankings. This coming season our Division 1 winning team of cadets have virtually all moved on and so we are looking to a new squad of players to replace them. Our NJL Division 1 team disappointed a little last season being relegated to Division 2 and so again we are looking to our stronger cadets who have moved up an age group to rectify that this season. The club needs more dedication from some of its players to match the determination and commitment shown by players from opposing clubs. We will be holding our annual 12 hr sponsored table tennis on Friday the 2nd of August 2016 to raise funds to finance our participation in the National Cadet and Junior leagues. Sunday the 6th March 2016 was the last day of National Cadet League for this season. We now have the final tables that reflect the fact our A team performed really well, turned out for each weekend and finished well ahead of the competition. That is not to say that the teams we competed against were not good as a number of 3-3 draws proved. The last weekend of NJL continued much in the same vein as the other weekends. Practice or lack of it was the deciding factor. We went to the competition with some of our stronger players either not available or having given up playing. This left us with still a good number of players but, players whose ethos to training is questionable. The A team, comprising Medha Verma John Barman and Alex Rahbani, just missed out on a medal by finishing 3rd in Division 2. This was very commendable as although Medha trains hard, John has only recently returned after giving up playing for a couple of years and Alex who has only played a couple of times this year. The B and C team spent half the day short of players as Ishaq and Ismail did not arrive till the early afternoon. The B team finished 3rd in Division 4 with Luke Saunders winning nearly all his games, supported by Ismail after he arrived and Silas Woolway. The C team in Division 5 had Liam a Resandu and Ishaq when he arrived. but neither the B nor C team finished in a top place. The club has not started the new year too well. Losing players is disappointing especially when they are talented and have worked hard to achieve a high England Ranking. However the club must go on and if players decide they no longer want to represent us then that is their choice. Unavailability also accounted for another three players two of whom would normally play in our top team. So we set off to NJL at London Academy one player short and with reserve players stepping up to ensure we could fulfil the fixtures. We are extremely grateful to Jules and Resandu for having a go with Liam in Div 4 but the team finished the day having failed to win a single game and are now relegated to division 5.
but always having to concede two matches before they started meant they were at a great disadvantage. They too were relegated to Division 4. The one brighter result on the day was the performance of the A team in Division 2 where Medha won 6, John won 4 and Luke playing up for the first time also managed 4 wins. and a much more mature John Barman who has returned to the club after a two year lay off. The team are to be congratulated on a good days performance. The team now in Division 2 showed they were almost ready for a return to Division 1... but may have just missed out on that this time around. The B Team in Division 3 again did well with Ismail taking the lead as the number one player supported by Tyrell and Luke saunders. The team did well enough to preserve their Division 3 status. The C Team in division 4 were represented by Mansour Aetekal, Liam Gourlay and Jules. Playing in a Division of just four teams we needed to at least beat one team which we did. The first two matches saw us struggle a little but our win in the third round ensured our position in Division 4 for the next round. Twickenham Brunswick were well represented at the event with three teams one in each of divisions 1,3 and 4. The A team of Michal Papior, Finlay Feil, Alex Rahbani and Medha Verma showed that they had enough ability to match any of the players in the division, but at times just lacked the determination or belief in themselves to win the tighter games. At the end of the day I'm afraid their results were not good enough to maintain their 1st Division status as the suggestion was they would be relegated to division 2. Ismail Tahir, Morgan Wilkins and Tyrell Soleyn who recently rejoined our club, held their own in Division 3 with some good solid play. A less experienced team of Ishaq Tahir, Silas Woolway and Liam Gourlay playing in his first competitive also acquitted themselves well in division 4. Well done to all the squad. It was a great day for our A team in Division 1. Already heading Division 1 with an advantage of being 1 point ahead, our a team went through the day undefeated. We finished the day 8 points clear of Moberley in second place. Congratulations to Fin on winning 7/10, Medha on winning 10/10 and Morgan 8/10. The B team had another good day with Ishaq, James and Resandu winning most of their matches and retaining a position quite high up in the division. The C team were supported by Jules today, but with only 1 win from eight matches and a further three wins from Harschil it means that the team are firmly rooted to the foot of the division. Karishma and Eamon are gradually showing improvement but have as yet to win a match. As the season progresses I'm sure the confidence of the C team players will increase and this will be reflected in their results. 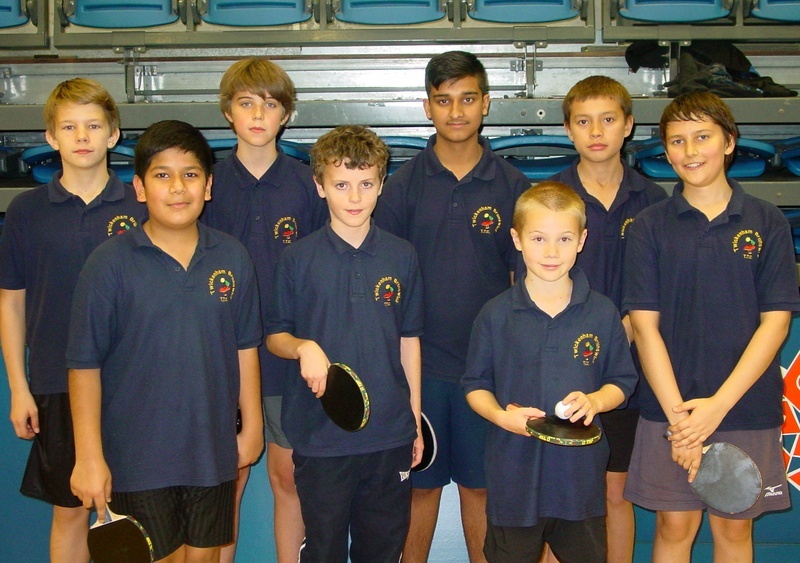 Another season and another set of new players, as Twickenham Brunswick develop more table tennis talent. The A team in Division 1 made a relatively good start drawing with Watford Jets 3-3. This indicated that Watford were going to be our closest competitors in a very even division. Medha Verma led the way winning 9 of her 10 matches she was well supported by Finlay Feil winning 8 and Morgan Wilkins who won 4. At the end of the day Twickenham finished on 21 points closely followed by Watford on 20 points and the third placed team on 19 points. In Division two we had four new players while two others returned from last season. The B team did quite well thanks to Ishaq Tahir winning the majority of his games james parsons also contributed some games while Resandu in his first ever competitive match struggled a little. Meanwhile in the C team Harshil Shah performed extremely well in his first competitive match while sister Karishma and team mate Eamon Collins found the going too hard finishing the day without a game to their name. But generally the future looks bright as a number of new players are now representing the club and progressing up the ranking charts. The National Junior League finished this weekend and considering the strength of the opposition we as a club should be very satisfied with our achievements. The first division team finished winning fifth place medals behind teams from Harefield Academy and London Academy who have just recently won National Schools Titles at U.16 and U.19. Our A team became depleted throughout the season when Jack RIchards became unavailable followed by Hardeep Dhaliwal who became ineligible. Thanks to Michal Papior and Alex Rahbani who represented us assisted by Ismail, Medha and Morgan we survived the season in division 1 finishing a creditable 5th. Congratulations too, to our B team of Ismail, Mansour, Morgan, Medha and Luke who between playing in division three supported the A team in Division 1. The B team finished second behind a very strong Watford Jets team that won 29 out of 30 matches on the last day. Silas, Ishaq and Luca in Division 4 finished 5th where it was a learning experience for Silas and Luca as the more experienced Ishaq guided the way. NCL 2015 Final Weekend saw a bare 6 players turn out for the two teams. The A team was represented by Finlay Feil, an experienced cadet for several years, Medha Verma, a rapidly improving Girl Cadet and Morgan Wilkins a Divison 2 player at the beginning of the season who has earned his place in Division 1. 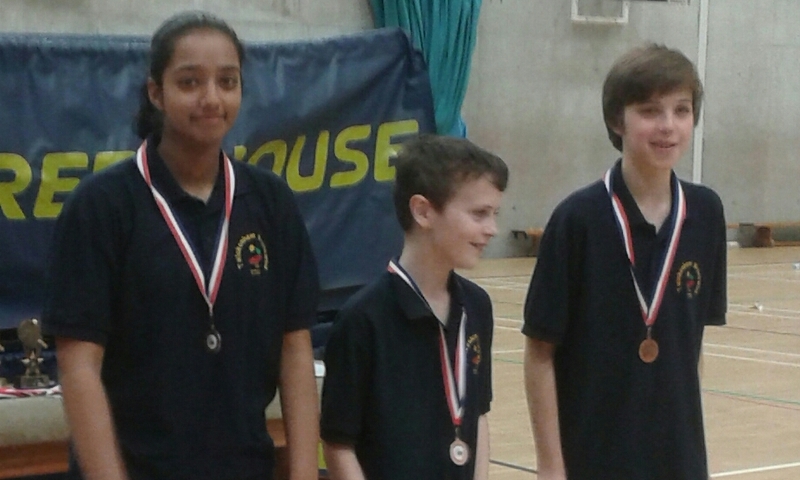 On the day Finlay and Medha won eight of their nine games while Morgan managed four of his nine. The twenty wins between them saw the team secure bronze medals for third place behind Burlington Danes A first and Watford Jets A second. The B team represented by Luke, Luca and James managed to win 12 games between them finishing in fifth place . Well done to Luke on again winning 8/9 games. Well done to all the new Cadet players who have represented the club this year for the first time. Saturday the 7th and Sunday 8th of February proved to be a very busy weekend for the club. We needed fifteen players to fill the five teams if players were not to play two days running. Unfortunately two of our most experienced players were not available and another did not show up on the day so we were really struggling. On the Saturday NJL we fielded an almost full strength A team who finished the day with a record of winning two matches drawing one and losing two. The B team played with a player short and therefore struggled to win any matches during the day. The C team had a better day as they are growing in experience with two of the players playing in only their second NJL event. NCL on the Sunday was an absolute eye-opener. With none of the established 1st Division team players available we had to call on our second string. Medha Verma who had played division 1 NCL just once before did magnificently winning five of her eight matches. Our second and third players for Division 1 were Morgan Wilkins who had only played up in Division one once before and Theo Piche Hainsworth who had previously only played in lower divisions. Between the three of them they managed to draw 3-3 with Bushey A and Watford Jets and then lose narrowly 2-4 to Ernest Bevin A and Burlington Danes A who are top of the division. 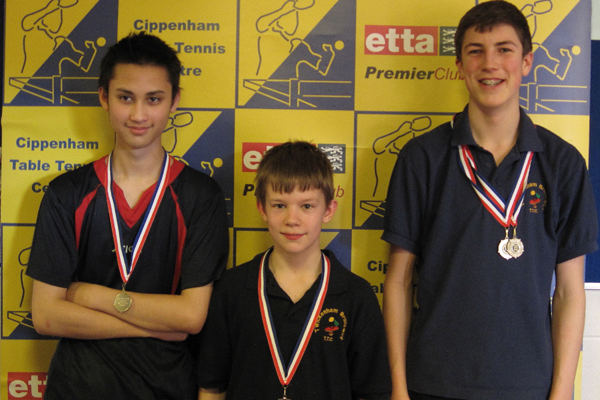 The Division two team was comprised of Julian lee Charlton who has only played one NCL day before and Luca Chan and James Parsons who were playing their first ever competitive matches. Between them they managed a 0-6 defeat a 6-0 win and two 2-4 defeats a very creditable performance with such little experience. The club can be proud of the new young players that they are developing and who are coming through to represent them in competitive play. To be honest the day did not start well as we set off to NCL with a player short. Most of our players had spent all day Saturday at NJL and were exhausted. The club is therefore really grateful to Luke Saunders and Morgan Wilkins who gave up both days playing in very trying circumstances. These two were joined by Finlay Feil, Mehda Verma and Julian L,Charlton who h.ad not been involved in NJL the previous day. The name of the game for NCL was damage limitation as with only five players we were going to have to concede games. With careful team selection we spent the event shuffling players between teams to get the maximum benefit, and the players did their bit by being 100% co-operative and playing beyond all expectation. Finlay played with Medha, our reserve for Division 1, all day in Division 1. Both ended with terrific figures Finlay having Played 8 and won 6, while Medha played 8 and won 7, Morgan Wilkins when called upon to play in Division 1 played superbly winning both games and Luke Saunders followed suit by winning his match in Division 1 . Meanwhile in Division 2 Morgan and Luke were again exceeding all expectations winning all their matches. Success seems to be contagious as mid way through the day Julian Lee Charlton started to get the winning habit as he won three matches from the eight he played. The results ensured that we did not lose touch with the second place team Watford Jets who finished the day just 1 point ahead of us in Division 1. The 100% records from Luke and Morgan meant, in spite of playing two matches a player short, we stayed in the top half of the division in Division 2. Ismail, Mansour and Morgan gave a good account of themselves in Division 3 as did Luke, Silas and Ishaq who performed admirably in Division 4. Further results have come through and we are now 2nd in Division 1 just one point behind Harefield Academy having beaten them in the head to head..
NCL was a great success both for the organizers and our club. The day's play was well organized with nine matches each round played on two tables, enabling everybody to be occupied umpiring or playing and the days play to be over by 2.45pm. Our experienced A team started well in division 1 with an 8-1 win over Bushey A. This was followed by a 5-4 win against a determined Watford Jets A and another good 8-1 win against Ernest Bevin. However Burlington Danes have already taken a good lead on 25 points leaving ourselves and Watford Jets both equal on 21 points. Well done to the A team on a strong first day's performance. Well done to all the squad on being great ambassadors for the club. National Cadet League week four turned out to be quite a dramatic one for our club. Thanks to a 6-0 defeat by Bushey, week three had seen our A Team drop from a comfortable second place at the beginning of the day to being 5 games behind 2nd place Bushey at the end of the day. And so we entered into day four knowing that we needed to win every game and match to ensure second place. The day started well with a 9-0 victory in our first match followed by another 9-0 victory in our second match. 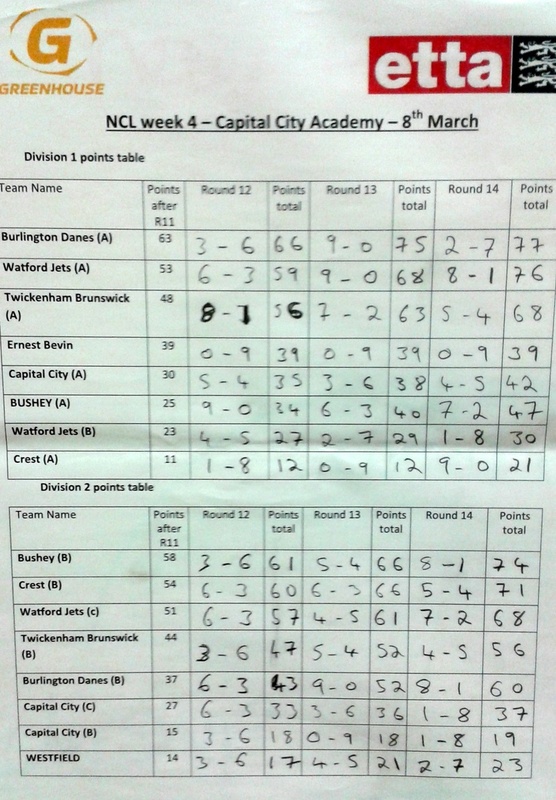 The last round saw us playing Capital City and just 2 points behind Bushey who had to play the Division 1 leaders. A 6-3 win saw us achieve a total of 75 points, while Bushey by virtue of a 4-5 defeat to Burlington Danes also finished on 75 points. The outcome being that Bushey took second place on games won between us. Well done to Michal Papior on winning 9/9 on the day, Finlay Feil 8/9 and Alex Rahbani 7/9 and to the team on winning the bronze medals in third place. Congratulations also to the Division 2 squad who all contributed to the points score this season. Congratulations to the Twickenham Brunswick A team on finishing runners up to Chiltern A in Division 1 Southern Region. Throughout the season, Twickenham Brunswick A vied with Kidlington Forum A for second place, in the end prevailing by a clear two points. This was a truly magnificent effort as the squad of four players were only all available on two days. James Corner was well supported by Alex Gough, Jack Richards and Michael Papior on the first weekend when they got off to a good start. However the second weekend saw the team struggle a little in the absence of James Corner. The third weekend saw the return of James Corner only for Jack Richards not to be available. Then coming into the last day we were again deprived of the services of James Corner after he was promoted to the Junior British League Team. The last day saw Alex Gough, Jack Richards and Michael Papior fighting for every point, and all played with a pride and determination that I had not seen before. Everyone raised their game and should be extremely pleased with their achievement. This weekend may well have determined the outcome of the First Division as our A team slumped from a secure second place position to a more precarious third place. A strong Bushey team caught our team napping edging all six games in a closely contested match. A five one win and two three all draws were not sufficient to cut the deficit as Bushey whitewashed another two teams. The slightly more positive note from the weekend was that we did manage a three all draw with Burlington Danes who hold top position in the division. Another good weekend for our A team, bearing in mind we played without our No. 2 player Jack Richards. The team is still comfortably in second place. Over the last day's play Chiltern A performed a little better than us while Kidlington matched our results. 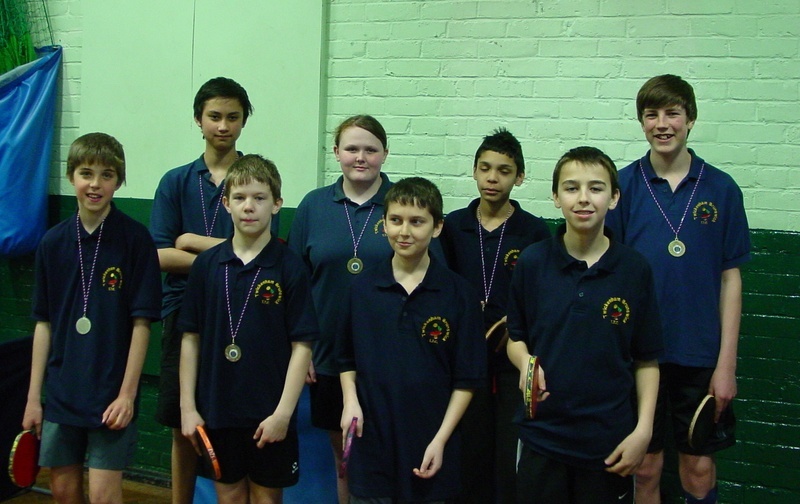 In Division 2 our B team performed well but our results saw us drop from second to third place. however the results suggest that our younger players achieved better results last time. and all did exceedingly well. In Division 1 Finlay Feil playing No.1 won 6/8, John Barman No.2 won 5/8 and Alex Rahbani. No.3 won 7/8, finishing the second weekend in 2nd Place. Johan Smith played outstandingly well to win 8/8 while Theo P Hainsworth (10yrs) and Ishaq Tahir won 7/8 and 5/8 respectively in only their second week of league competition. This Sunday 5th Oct 2013 saw the start of a new National Cadet League season at Capital City Academy, with a scaled down commitment from our club. After previously fielding three or four teams, this year, due to venue constraints we have entered just two teams. The cadet teams will now be more competitive in that they will be chosen from those showing the most interest and enthusiasm. The above eight players were involved in the National Cadet League at Capital City Academy. The A team, who had to represent the club without some of the older and more experienced players, now too old, performed magnificently. In their first three matches they recorded 6-3,7-2 and 9-0 wins to finish the day in second place on 22points in an eight team division. Well done to Michael Papior on winning 9/9 matches also to Alex Rahbani, Finlay Feil and John Barman who only lost 5 matches between them. Well done to Tyrell, Mansour, Theo and Morgan who had a tough introduction to the second division. Sunday 28th April 2013 saw great finale to the National Cadet League at Capital City Academy. After the four weeks of league action it was thought that a cup competition with an early finish would afford enough time to have a formal presentation of awards ceremony. The whole day was a credit to the organizer Ashley Stokes, as the format was a great success. With a slightly smaller turnout, but still with an abundance of talent it is great to report a number of successes from this event. The National Cadet League results reflected, not just the improvement of a number of our players over the season, but also the effect of players occasionally not being available . In Division 1, after a dismal start to the season when our A team and B team were rooted to the bottom of the table, the A team of James Corner, Alex Gough and Jack Richards progressed steadily up the table finishing a creditable fourth. The B team frequently short of a third player finished at the foot of the table, but well done to Alex Rahbani and John Barman who continued to battle on. In Division 2 Our C team of Michal Papior, Finlay Feil and Tyrell Soleyn also started the season a little slowly but then made huge strides up the division finishing second. The 4th team in Division 3 had a large squad that rotated round as players had to support the higher teams when players were away. So well done to Medha Verma, Mansour Aetekal, Ismail Tahir, Harley Mcglynn and Morgan Wilkins and Johan Smith on finishing in third place. However the league achievements were surpassed by the teams performances on the final day in the Cup Competition, when the Twickenham Brunswick A Team of James Corner, Michal Papior and Alexander Gough beat their first round opposition, then Burlington Danes followed by Capital City Academy to finish as the Cup winners. The B Team of Finlay Feil, Alex Rahbani and John Barman, not to be out done, beat all three teams in their group to finish up Division 2 winners. The C team of Mansour Aetekal, Ismail Tahir and Harley McGlynn managed a third place finish securing a bronze medal. Today Saturday the 13th April saw the conclusion of the West London NJL. Being in the Easter Holidays it was not one of the best attended events with teams missing and players away from our club too. However the day proved to be fruitful with regards to medals and placings. With James Corner unavailable, our 1st Division team of Alex Gough, Jack Richards and Rhiannon Folan managed to win five games between them sufficient to keep them in third place and take the bronze medals. In Division 2 the battling B Team of John Barman and Alex Rahbani was supported by Medha and Harley and so very nearly clinched a medal winning place, finishing level on points with Bushey they missed out on a medal by the number of matches won. Credit must go to the John and Alex who were often short of a player to fill the third spot and had to make do with reserves on several occasions. The C Team continued to perform well, as they have done all season, Michal Papior, Finlay Feil and Tyrell maintained their second place position and well deserved their silver medals. The D Team arrived, in last place but without opposition to play, secured two walkovers that earned them enough points to finish in 3rd place and again take bronze medals. Well done to all the squad which included Ismail, Mansour, Johan, Caroline, Morgan, Harley and Medha. all the teams have improved their play and positions. The A B and C teams are all in with a chance of medals and the D team may be able to win enough to move off the bottom of the table. Once again we were a player short and our B team had to play the day with a team of two. In spite of this Alex Rahbani and John Barman both played for their own pride as the teams chances of coming anywhere other than bottom of the division were zero. The A team of Alex Gough, James Corner and Jack Richatds played extremely well and with at least two good wins under their belts on the last day may have secured sufficient points to be in the medals. Congratulations to James on winning all his games. The C team despite a 9-0 defeat in the first round went on to win the next round 9-0 and had another good win in the third round, again we will need to wait and see the points situation. But well done to Michal, Fin and particularlyTyrell who has shown a great improvement over the past few meetings. The D team achieved a couple of narrow victories with Medha and Ismail winning matches, but Morgan and Medha deserve a special menntion as they have really worked hard to improve at every tournament. We now await the final league tables to see how our teams faired on the final day compared to the other teams. It is nearing the end of the NJL for 2012/13and this Saturday was a good day for the club. Today I was expecting 13 players of which 12 arrived enabling us to field a full quota of players for each team. The A team of James Corner, Rhiannon Folan and Jack Richards finished the day having won 18/36 games which should see them maintain or improve on their fourth position. The B team in division 2won 18/27 games John Barman, Alex Gough and Harley McGlynn all played rheir part in keeping their hopes of third place alive. Well done to Mansour Aetekal, Johan Smith and 9 year old Morgan Wilkins a couple of 4-2 wins and a 3-3 draw may be enough to see them push a little way up the table from bottom place. It won't be long befor Morgan starts winning games having lost some very narrowly 16-14 and 12-10. Again we had to go into a full day of play with a player short. This time though we could not afford to shuffle players around as they would then end up playing for the higher team. Instead the B team had to play the day with just two players. Jon Barman and Alex Rahbani put in some great performances and the scores hardly reflected the fact that they were a player short. The A team meanwhile had a good day with Jack Richards having the most wins, followed closely by James Corner and Alex Gough. Perhaps the two performances of the day were from Michal Papior; of the C team winning 9 games out of 9 while Finlay Feil and Tyrell Soleyn also put in good perfformances winning the majority of their games; and Mansour Aetekal of the D team who mamnaged 6 wins out of 6, with Johan Smith winning some valuable games and Medha Verma ably supporting theim. Well done to all the players who showed up again to represent the club, all the teams put in great performances and are either consolidating or improving their positions. Another hectic day but a well run one at Ernest Bevin. With 20 tables available it was great to be able to play all the matches on two tables ensuring an early finish at around 3 o'clock. It is a sign of our success that even with three regular players unavailable we were able to field four very competitive teams in all the divisions. However it did require a little bit of strategic planning to avoid lower division players becoming tied to teams in the higher divisions. It was another hectic day but generally a more rewarding one regarding player performances. Our A team managed a couple of good wins against London Moberley and a narrow 4-5 defeat by Burlington danes who aere in fourth place. This should be enough to see our A team move up a place or two, while a string of three defeats will see our B team rather rooted at the bottom of Division 1. The B team suffered two defeats the first week but to the teams in equal first place. This week a 5-4 win, a 9-0 walkover and 3-6 defeat will also see the C team making good progress up Divison 2. Congratulations again to James Corner who is showing he is a match for almost anyone in the NJl and NCL. The first day of NJl 2012 saw 13 players from Twickenham Brunswick heading, early morning to Willesden. Capital City Academy is becoming like home. But it was a quieter venue than normal with significantly fewer teams, making the the day seem a little calmer and perhaps not quite the same standard as the National Cadet League. It was definitely a wake up call for many of our players. The competition at Capital City Academy this year is very high. Our A team in division one manged 5 wins out of a possible 18 so congratulations to James Corner on winning all five. Although Jack richards and Alex Gough fought hard they were unable to secure a victory. Our B team was a player short with Michael Papior being unable to play, and Hardeep Dhaliwal and Alex Rahbani managed just three wins between them from their 12 games. In division 2 Finlay feil won 3of his six matches but Tyrell Soleyn and Mansour Aetekal played well without a win. In Division 4 again the competition was tough for Medha, Ismail and Morgan, Medha being the most experienced with Ismail and Morgan absolute newcomers. But they ware to be commended for their efforts playing 18 matches and losing all 18, but without a single moan or sigh, they displayed a great attitude. Well done. There can be few Independent table tennis clubs in England fielding the number of National Cadet and National Junior teams as we do. 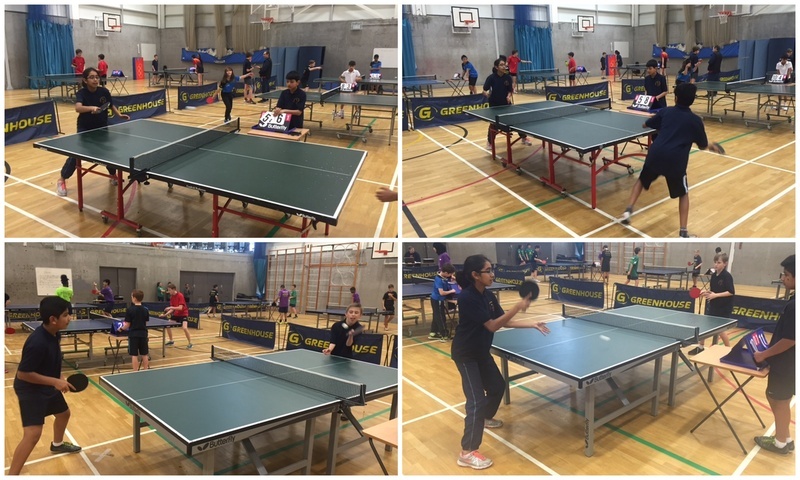 Yes there are Grerenhouse Academies and there might be the odd Table Tennis Club at Advanced Level, but these clubs are generally sponsored or supported by funding whereas Twickenham Brunswick achieves everything unaided. So well done to all our members you can hold your heads high knowing that YOU have gained your success through your own hard work and committment.. But may include. A Anglin, Johan Smith, Sam Reynolds if they are interested this coming season. Today saw the final day of the NCL for this year. After promoting five of our top players to British League at the end of last year, I could never have envisaged us being able to field two teams in the 1st Division of NCL this year. So it is all credit to our young players who have made great progress this year and have many more season's ahead of them at this level. Finlay Feil 10, Alex Rahbani 11, James Corner 11, Hardeep Dhaliwal 12, Johan Smith 12, Jack Richards 13, Alexander Anglin 13, Alexander Gough 13, John Barman 13 and Rhiannon Folan 14. Well done to all the squad who turned out again and again with varying levels of success to represent the club. This year we finished 5th and 6th in Division one but had the distinction of being the only club to have an A and B team in the 1st Division in Cippenham on the final day. Well done yet again to all the National Cadet League players who represented the club this weekend. It is a credit to the club that all our players started at the club and have progressed to the level they are through the club. Although the A team are struggling against the top three teams they are giving a good account of themselves, and they are still quite young. The B team though have done extremely well working their way up division to to reach top spot and hopefully promotion to Division 1. It is quite a feat for our small club to be able to field two National Cadet league teams in Division 1. Well done to our C team who have managed to survive in division 3 thanks mainly to the strong performances of Alexander Gough who has frequently won all three games holding the team together when his team mates have struglged with the tougher opposition. With a couple of palyers not being available we set off for Cippenham with just the bare 9 players required for the three teams..The A team were a player short and so three of the B Team players played up in turn to help out the a team. As it turned out they did not manage to win any games but gained some experience in Division 1. The A Team finished the day playing 27 games and winning 9. The B team who had four players to rotate around managed to win 17 games and lose just 10. The C team also showed some improvement this time winning 14 and losing 13. The second week of the National Junior League really tested our club as we were only able to field eleven players for the four teams, each requiring three players. However with the co-operation of all the players and a bit of determination we had a pretty successful day. Our 4th team in Division 3B had to play their three matches with only two players, so it was quite an achievement to have won 14 games from the 18 played, as they had to concede the other nine.So a big well done to Alexanders Gough and ,Anglin and Joshua Cogley. The 3rd team were weakened by virtue of the fact that they had to support the 2nd team at times. In the first match Jack Richards played for the 2nd team winning all three matches, and Samuel Reynolds played up in the third round when he won a game for the Division 2 team. Alexander Gough played extremely well in the second round of matches when the Division 2 team lost 1-8 and Alexander was the only player to win a game.Thanks to the support of the other teams the B team won 17 games losing 10. 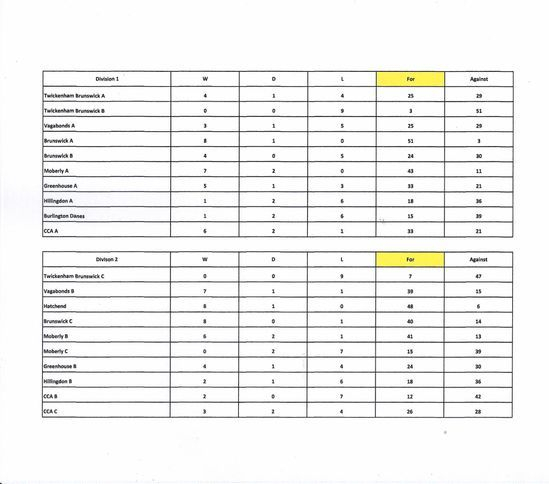 The third team in Division 3B also suffered from players playing up and only managed to win 8 games. Our 1st division team being two boys under the age of 12 and Rhiannon Folan 14 are finding the first division tough but are earning the respect of the other teams who are finding they are no pushovers, and as the season progresses they will no doubt start to make progress up the division. sponsored Schools from West and North London. Congratulations to the nine players who turned out to represent the club in the NCL this Sunday23rd October, especially Alexander Anglin who played in Division 3 after just a couple of visits to the club. Having lost 5 players to JBL the responsibility for upholding the reputation of the club is now falling on the next batch of young players. Well done to James Corner who won 7out of his 9 matches in division 1 and to Alexander Gough who won 8 of his 9 matches in Division 3. Twickenham Brunswick have won National Junior League Division 1 for the first time ever beating Harefield Academy into second place and finishing ahead of West London Academy and Capital City to name just a few. Well done to David and Charlie Rahbani, Tom Bell and Jack Tubby for achieving this fantastic feat, as we are a club with very limited resources. The club can be proud of some of its developing players too. Our B team finished 4th in Division 2 with a squad that consisted of Anthony Egan, Captain, James Corner and Alex Rahbani both U.11 years, Joe Spragg and Matej Remen. Our C and D teams, too, finished the last day well, the C team finishing 4th with Rhiannon Folan dropping very few games all season ably supported by Finlay Feil, Sam Reynolds and Matej Remen. The D team short of a player did extra-ordinarily well moving from bottom position up two places as John Barman and Hardeep Dhaliwal pulled off a whole string of wins despite being a man short. Thanks also go to the other members of the squad who represented us at various times this season such as Joe Farren, Matthew Wallace and Medha Verma.. 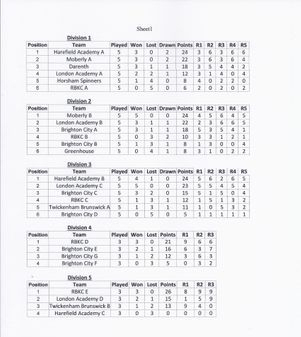 The last day of National Cadet League started with the club sitting at the top of Division 1. However the prospect of medals slowly dropped away as trhe day progressed. The A team were not able to field their more experienced players which meant James Corner had to play up from the B team to the A Team, and though he won a couple of games and took nearly all his other opponents to 5 games, James just lacked that little extra needed to close the game out. 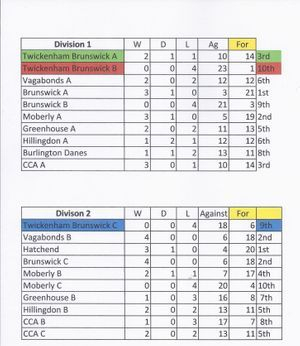 At the end of the day Twickenham Brunswick were level on games with Ellenborough A and just missed out on the Medals by the results of the head to heads. The B team too had to cope without James and in his place Matej Remen played up in the 1st Division to support John Barman and Alex Rahbani. Again the team did well giving many of their opponents close games, but often failing to win the vital points. Matej Remen did however pull off three good wins one that saw him beat Musa S.Ali ranked almost three hundred places above him. Twickenham brunswick now Top Division 1. After an outstanding days play the team won 34 of their 36 games. From being 5 games behind the leaders the A team now find themselves 1 point in front. The B team playing in Division 1 are really struggling at the foot of the division, but are gaining fanntastic experience. Although dropping a lot of games, they are taking many opponents really close. One also has to remember that two of the players are still underr eleven and have many years in the cadet league ahead of them. 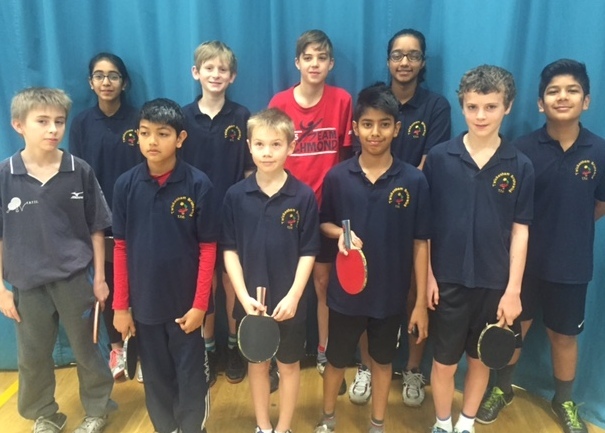 At the halfway stage of the National Junior League Twickenham Brunswick A Team were sitting in second place equal on points with the top team Harefield Academy A. However after the third week, placings have changed a little. With four good results on the day and with Harefield Academy A dropping a game Twickenham have now opened up a 1 point lead at the top of the table. Well done to the team David Rahbani, Tom Bell and Jack Tubby. There is a saying , "A chain is only as strong as its weakest link." so too for a team. While all the links remain in place the chain remains strong, The National Junior League and Cadet League Teams can only perform to thieir potential while all the individual players are there to do their part. But their is also huge promise for the future The B Team in Division 2 also had a good day.with the team winnig 17 of their 27 games. This performance won't make any great d fference to the table position of 5th place, but will probably put us in a position to challenge for fourth or thiird place next meeting. Weel doner to Alex, James, Joe and Anthiony on their continued improvement. The third division teams also did better than expected with a lot of relatively inexperienced players. But the improvement in their performances was very evident with many of our players winning games they would have lost last time.